Serotonin in the central nervous system is recognized as a causative factor in some depressed persons.6,7 A comprehensive review of seven open and seven controlled clinical studies found that oral consumption of 5-HTP improved mental and emotional status in 60 to 70 percent of depressed people. The results varied from "modest" to "marked. "8 Dosages ranged from 50 to 300 mg daily. A more recent randomized double-blind study compared the efficacy of oral 5-HTP (100 mg three times daily, without a decarboxylase inhibitor) to that of fluvoxamine, a selective serotonin reuptake inhibitor.10 (SSRIs block the reabsorption of serotonin by postsynaptic receptors, thus increasing the available supply of serotonin in the synaptic cleft.) The two were found to be equally effective, and 5-HTP was better tolerated. 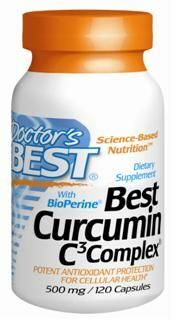 It should be noted that 5-HTP was given in the form of enteric-coated pH-sensitive capsules which dissolve in the small intestine, thus preventing conversion of 5-HTP to serotonin in the stomach. 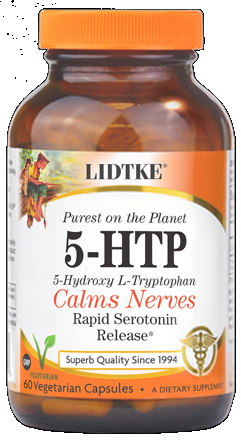 In contrast to MAO inhibitors and SSRIs, medications which act by blocking normal physiologic functions, 5-HTP supports normal function in its role as a serotonin precursor. Correcting serotonin deficiency has been called a "functional-dimensional approach" in the treatment of depression. 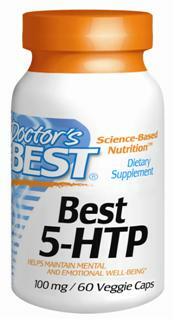 Studies have shown that 5-HTP influences the quality of sleep by increasing REM (rapid eye movement) sleep. Administration of 5-HTP in the evening prior to bedtime has been shown to increase the duration of REM sleep and decrease the amount of non-REM sleep. Other Ingredients: Modified Cellulose (veggie cap), rice powder, magnesium stearate (vegetable source). 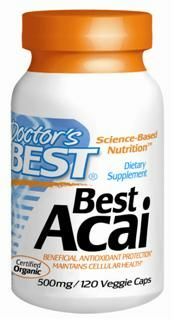 Suggested Use: As a dietary supplement, take 1 capsule two or three times daily, with or without food. 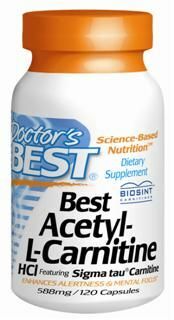 Not to be used when taking MAO inhibitors, selective serotonin reuptake inhibitors (SSRIs), or other anti-depressant medications. It should also not be used by individuals taking any of the category of medications known as "triptans".